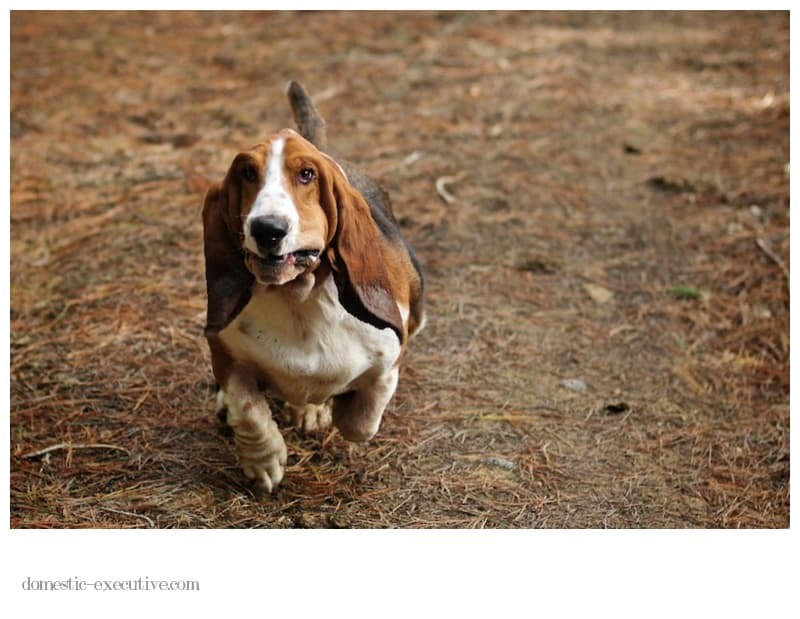 I can’t resist photographing bassets on the run. You never quite tell how their wrinkles are going to take a handsome basset into a contorted monster look. Fortnum likes nothing better than running full pelt down hill – see how aerodynamic he can be. I’ve uploaded the photographs from the March 2012 basset calendar into their special gallery for all basset blogging aficionados to enjoy. I’m part way through sorting through the best pictures from the calendars for the last three years for printing up and framing in a real basset photograph gallery.